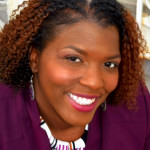 Marquita Johnson's answer to How can I avoid family members who stress me out? My mother takes care of niece whom my sister abandoned. She calls me every day complaining, but I don't want to hear it anymore. It is difficult to implement healthy boundaries when the person is a parent or family member. I would encourage you to identify how it makes you feel after talking with your mother. Work on establishing healthy boundaries where you do not feel obligated to engage the complaining daily. Maybe setting a time limit to talk with your mother and practicing how to be assertive and not disrespect or aggressive. Helping your mother understand how you feel using "I" statements i.e ( I feel _____ when you call to talk about my sister). Maybe asking your mom how can you be supportive of her during this time other than listening to her vent. It may also be helpful for your mother to get connected with support groups to help her cope with this life change. What can I do about my family not accepting me as bisexual? How do I cope with posttraumatic stress disorder and its triggers?